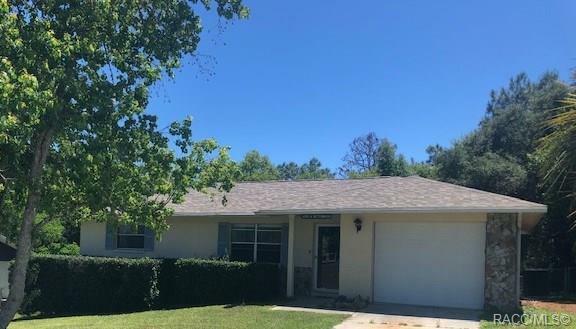 Are you looking for that perfect home that is move in ready with a great yard, completely fenced and nicely landscaped? This home has been well maintained by the owner and is super clean. You will love the large back yard and comfortable deck just outside the enclosed Florida Room. This home is light and bright with a new roof in 2018. Also a new hot water heater in 2018. The kitchen is well organized with black appliances. Stove has a glass top and really makes kitchen look modern. The pass through from kitchen to Florida Room makes entertaining a breeze. The Window Treatments are up to date and you will enjoy the light and bright living space. AC is older but has been serviced and cleaned yearly and is in great working condition. Decorated in neutral colors and just painted inside in 2018. Outside painted in 2008. Back yard is accessible with a double gate in case you need to drive in the back to install your new pool...plenty of room! Utility shed for all your tools!